The Liberty Township Board of Trustees received word Tuesday that the fire department’s new fire engine is now in the production phase and should be delivered sometime in April 2019. Earlier this year, the department took delivery of a new medic/ambulance. During the meeting, in the “best interest” of township residents, trustees approved an expenditure of up to $5,000 to Bowling Green State University for the fire department to train with the Upper Scioto Regional Water team. The training enables the members of the fire department to receive training and certification as water rescue technicians. There were no questions or discussions about the training by trustees. Trustees also approved $80,649 in blanket certificates and purchase orders, along with $354,160 for the month of August and $38,627 for the month of September in bills, warrants and charges. 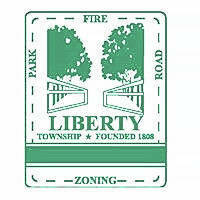 Tracey Mullenhour, zoning inspector, said the zoning department was excited about the new software recently installed. Mullenhour’s report included the department, so far this year, issuing 104 single-family resident permits, seven commercial permits, 223 permits for additions, decks or pools, and 107 final inspections. Cathy Buehrer, administration assistant, presented the trustees with a resolution for an expenditure up to $6,000 payable to the Ohio Fire Chiefs Association for battalion chief and captain testing. She said it was on Fire Chief Tom O’Brien’s list of things he wants to achieve within the department. O’Brien did not attend the trustee meeting. According to the resolution, the testing is to develop a list of successful candidates for the consideration of promotion. The list of candidates is valid for two years. All three trustees voted in favor of the expenditure. Trustees then authorized Township Administrator Matt Huffman to apply to the Ohio Public Works Commission for funds for capital improvements to West Orange Road. Huffman was further authorized to enter into any agreements necessary for obtaining the financial assistance binding the board to any such agreements. Huffman was away on vacation, but he asked Buehrer to make sure the resolution was entered into Tuesday’s meeting. Riedel said the project won’t happen until July 2019 if the funding is approved. According to the project’s total cost breakdown, the estimated cost is $402,600. The township will pay 17.6 percent ($70,857), Delaware County will pay 12.4 percent ($49,922), and OPWC will pay 70 percent ($281,820) of the total cost. Trustees also approved the posting of signs stating “No Engine Braking,” which can create loud engine noises when the technique is applied. This entry was tagged D. Anthony Botkin, Duane Price, Melanie Lenghan, Mike Gemperline, Shyra Eichhorn, West Orange Road. Bookmark the permalink.